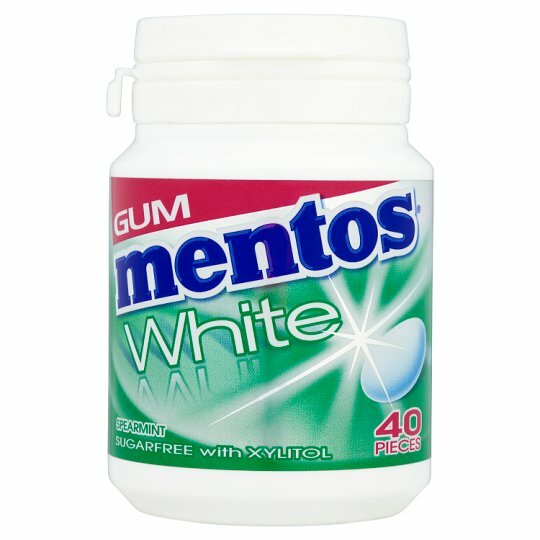 Chewing gum with sweeteners, spearmint flavour. 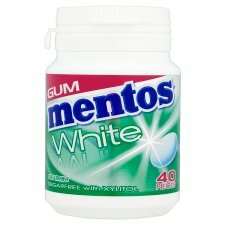 Mentos White Spearmint sugar free gum is a refreshing and long-lasting chewing gum with added xylitol to protect teeth and leave your breath feeling fresh. 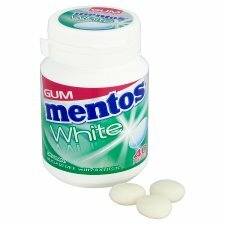 Comes in a handy bottle perfect for your desk, bag, car or at home!